Over the summer, something wonderful went into place for all students in New York State. The Dignity for All Students Act (DASA), which was technically signed into law in September of 2010, took effect on July 1, 2012. 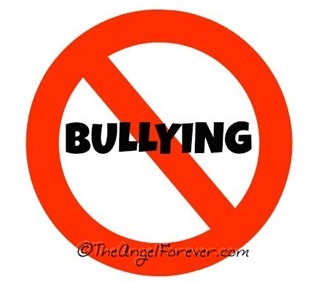 With bullying a horrible problem all over the world, New York is now requiring all schools to be on the same page. Every school has to follow the same procedures for reporting incident and concerns made by students, parents, and teachers. Many districts have places on their websites where people can find the coordinator for DASA within their building and at a district level. In addition to this, they are noting what the new policy is and how it will be followed. Report all bullying incidents that happen on school property to the state. During a segment from 2011 on WNYT, Elaine Houston and Dr. Peter DeWitt (school principal) discuss what this newly implemented legislation will mean for schools, educational professionals, and students. My hope for this law is that it will empower victims to stand up for their rights. It will make them aware of the fact that it is not acceptable for them to be harassed and bullied and let them know who they can safely report incidents to. In addition to this, I do hope that more people that witness bullying will stand up for change and assist the victims that truly do need their support. If you are in New York, what do you think about DASA and how are your schools implementing this new policy? If you are not in New York, what is being done by you?